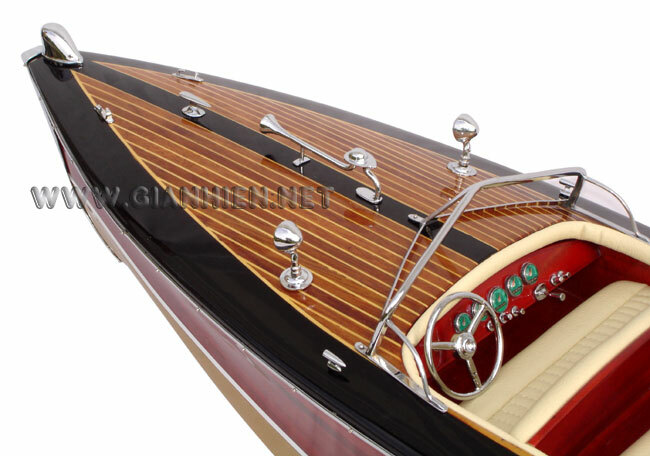 The original prototype Stan-Craft torpedo-style runabout was designed and built by Stanley Young in Seattle, Washington, in 1943-1944. 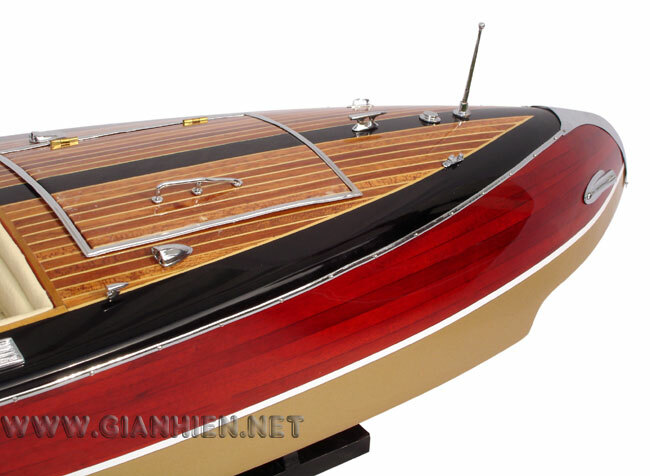 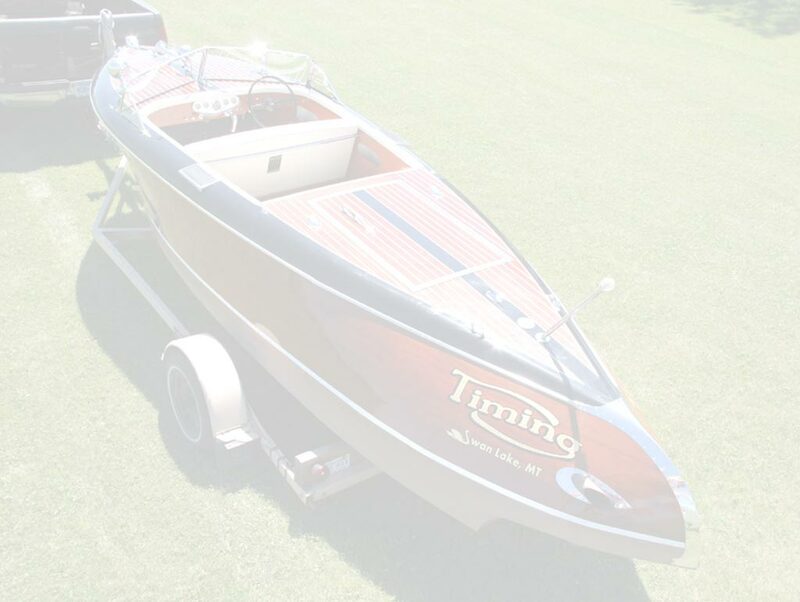 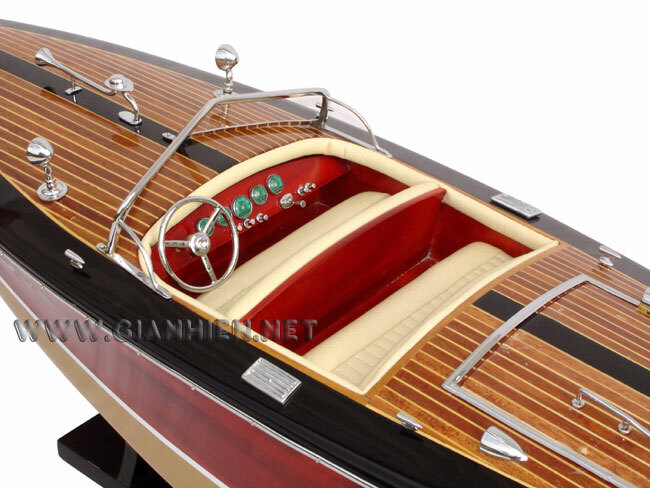 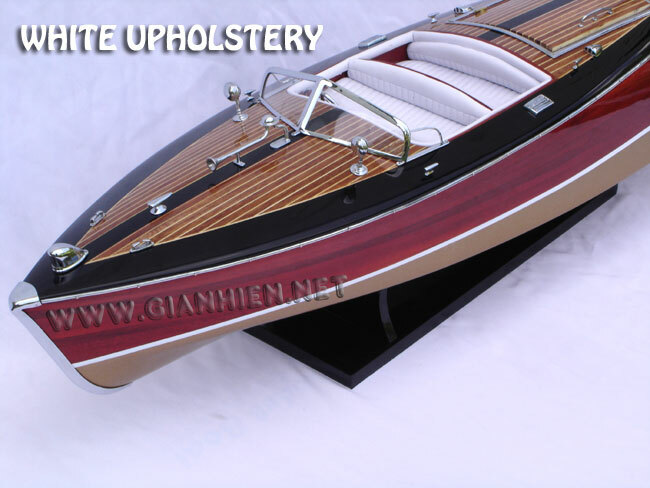 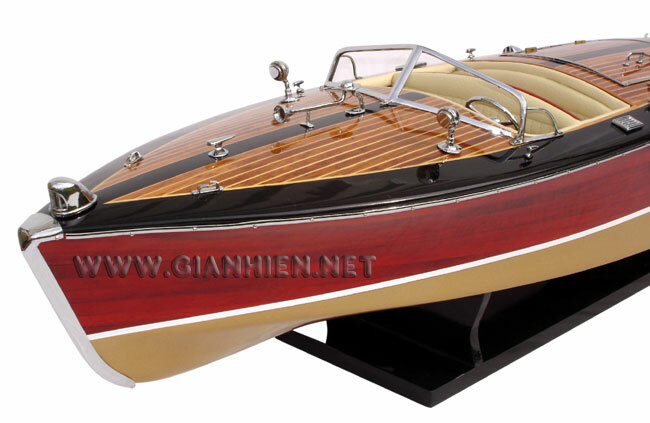 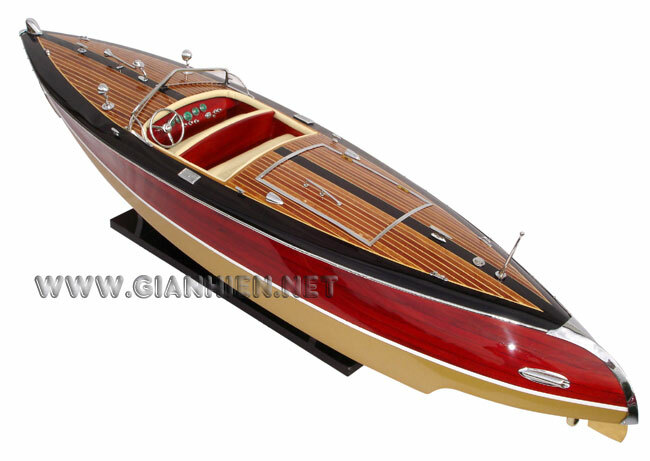 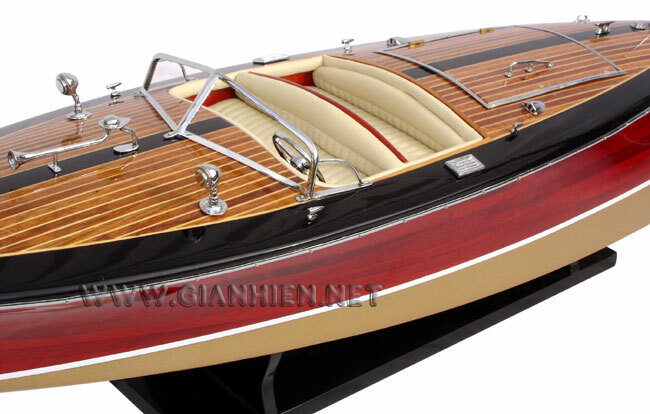 The prototype was powered by a Chris-Craft 6 cylinder K engine; most of the hardware was Chris-Craft as well... Our model is hand-crafted from hard wood with planks on frame construction and lacquered as the original boat. 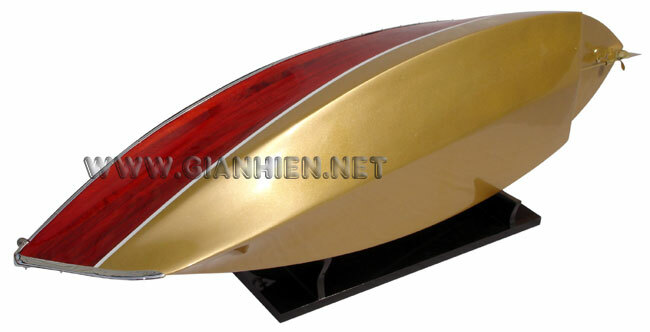 The metals are brass chromed as stainless steel. 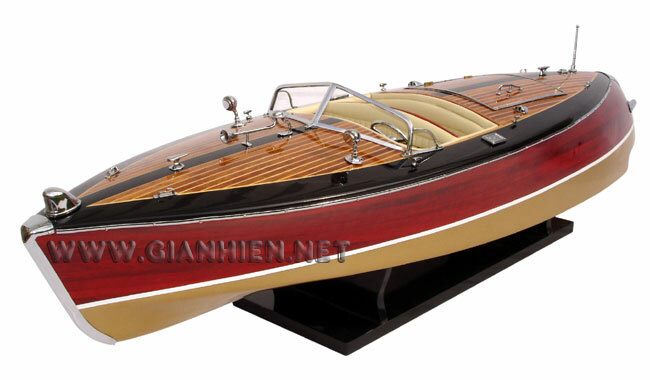 This model is not a kit and ready for display. 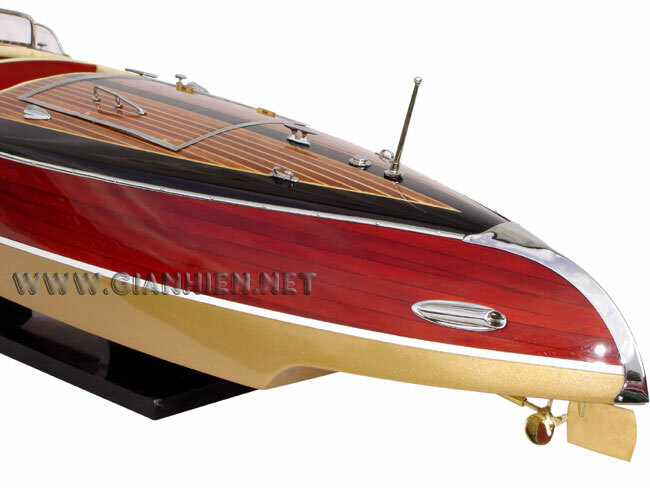 The StanCraft Torpedo originally a 22' version designed by Stan Young in 1942, then re-created by the brilliant Syd Young as a 29' speedster in 1998. 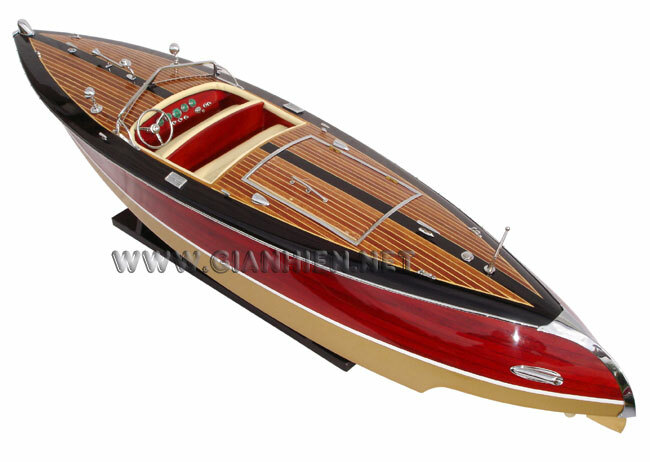 Capacity can hold 6-8 people. 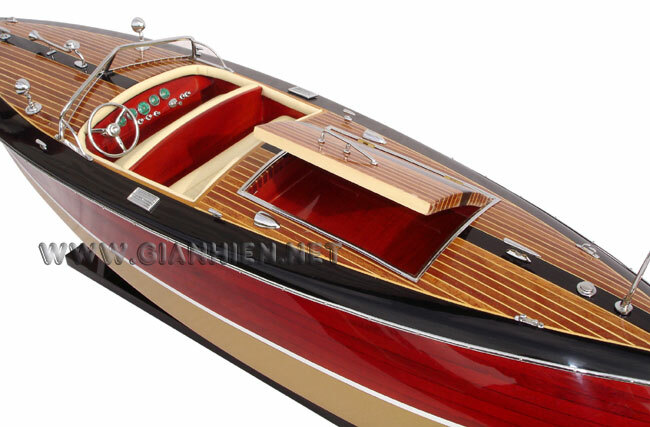 The engine is equipped with ingle 625hp Viper V10 and can reach to 50 mph.